We can install an almost invisible vinyl barrier on chip prone areas. This tough coating will help protect your vehicle's paint from sand abrasion, stone and rock chips. It also gives you peace of mind driving on highways. 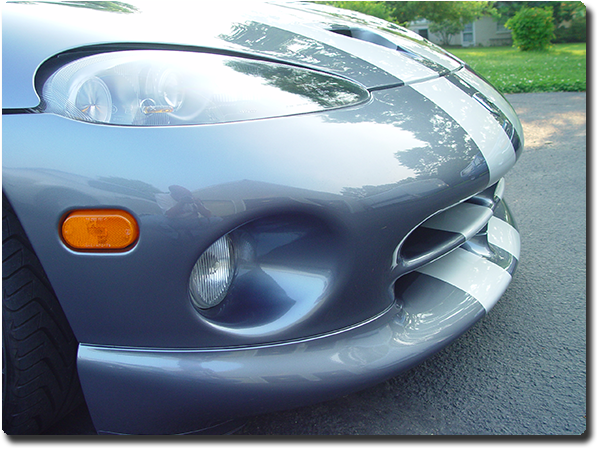 Typical areas covered include front bumper, portion of hood, portion of fenders, headlights, foglights and mirrors. Known as Paint Protection Film, this coating can be washed and waxed just like the rest of your vehicle.